This is an art kit that contains 124 tiny sized buildings, .png with transparency. 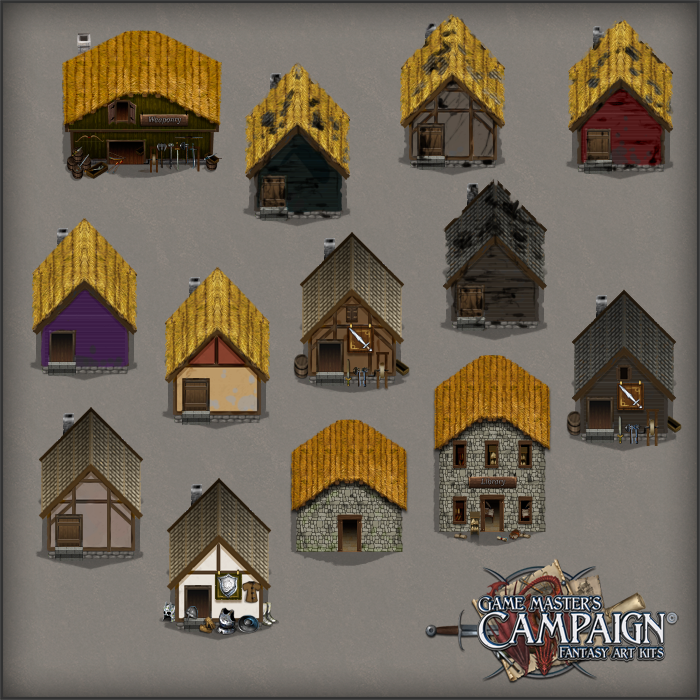 They are intended from my part to be used to set up small villages and cities, or to be placed onto maps/mini maps. 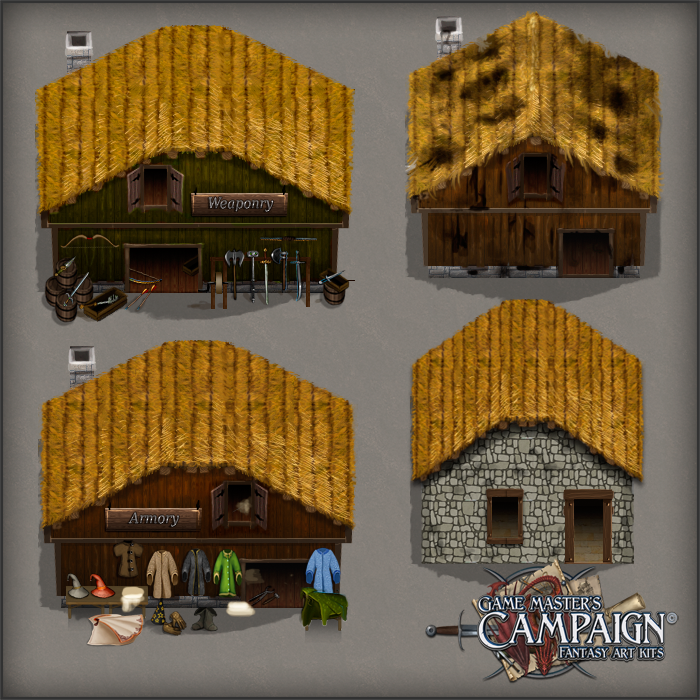 Other types of buildings will come later, in new art kits in the Roguelike series. There are 33 of the larger buildings, the rest are the smaller sized buildings.